Supermans new world order is in effect across the globe. The world is transformed. Violent dictatorships have fallen. Wars have ceased. But this order comes at the expense of freedom. 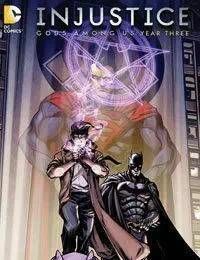 Now, Batman has found an unlikely ally against Supermans regime - and John Constantine is ready to unleash a bit of chaos.